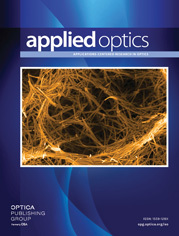 Y. Arieli, S. Ozeri, and N. Eisenberg are with the Department of Electro-optics, Jerusalem College of Technology, Jerusalem 91160, Israel. S. Noach is with the Division of Applied Optics, Hebrew University of Jerusalem, Jerusalem 91904, Israel. A method for producing diffractive optical elements (DOE’s) for multiple wavelengths without chromatic aberration is described. These DOE’s can be designed for any distinct wavelength. The DOE’s are produced from two different optical materials, taking advantage of their different refractive indices and dispersions.